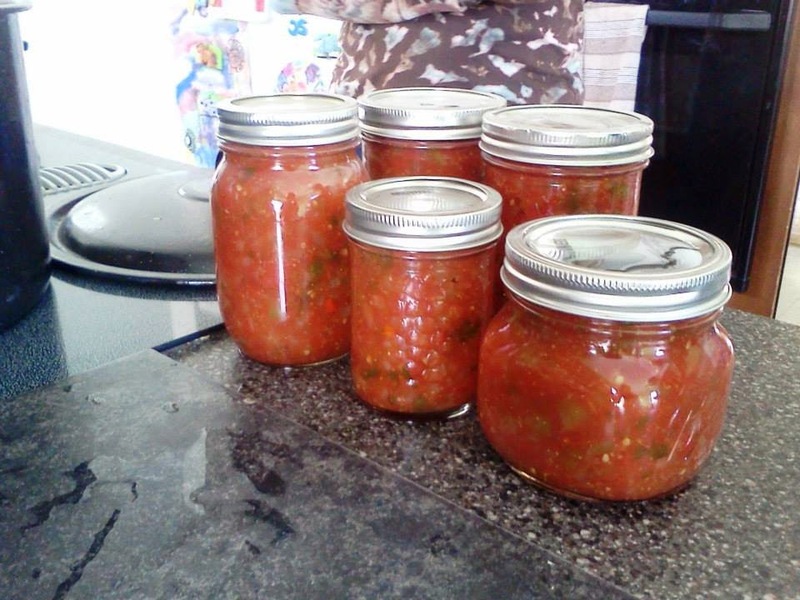 Our abundance of farm tomatoes got turned into salsa in September 2014 at our Canning Workshop. Living in a privileged, processed, industrial society has disconnected us from our food: how it's grown, how it's ﻿made into rich and diverse dishes, and how it's returned back to the earth. Most of us living in the Canadian 21st century would find it challenging to grow, harvest, and prepare a delicious meal on our own. We would likely find the result of this process unappetizing compared to what we could get from our grocery deli. And indeed, why would we waste our time trying to find sustenance on food completely produced by ourselves or our community when we have an array of tastier options at the Supermarket within a twenty minute drive of our dinner plates? 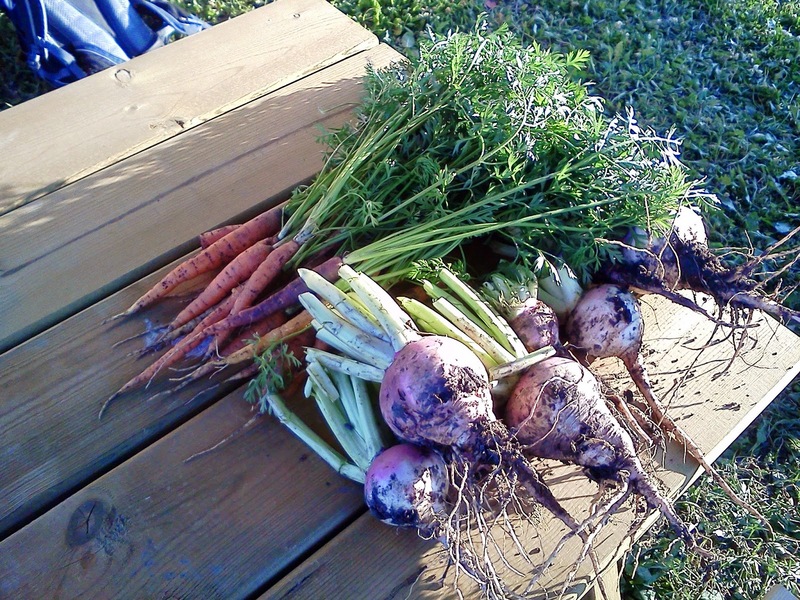 One of the first harvests of carrots and big, woody turnips. The turnips should have been harvested sooner. At this point they were wormy and didn't taste great - it was discouraging. A common sentiment that I've heard when talking with people about growing your own food and more importantly, preserving this food that you've grown, is: why spend the time preserving food when you can just buy that food fresh from the grocery store in the winter instead? It tastes better fresh anyways. A great article that speaks to this was written by Rebecca Roberts with the Sustainable Food Trust. She comments that there are local food traditions around the world that have been practiced by different communities and cultures for hundreds of years; well before the development of refrigeration or the globalization of industrial foods. Many of these cultural traditions around food developed as a way of using the entirety of a food harvested, such as eating the heart, tongue, or feet of a slaughtered animal instead of just the meat. They also developed as a way to ensure food was available during scarce times like winter or long journeys, such as canned or fermented fish or veggies. But still someone might say why spend the time growing and changing food in these ways when larger industrial players can do it for us? Why spend time fermenting cabbage, kale, and carrots to use as a condiment when Kraft has a whole shelf of different mustards that we could use instead? Why spend time making syrup and jams when Smucker's can provide us with the staples? And finally, why spend time preserving produce when we can just get it shipped from California and Mexico during the winter time? Salsa, mustard pickles, and jam (in front), pickled beets, and dill pickles (behind). When we learn about different food cultures and traditions and furthermore, taste them, maybe even try to recreate them, we help keep those cultures and traditions and skills alive. This food diversity in a world that's slowly becoming more homogenous, globalized, and processed is critical to keeping our food systems resilient. Why? It promotes agricultural diversity because it creates a demand for a more diverse food market. It keeps valuable food skillsets alive employing people to maintain their heritage and strengthening local economies. 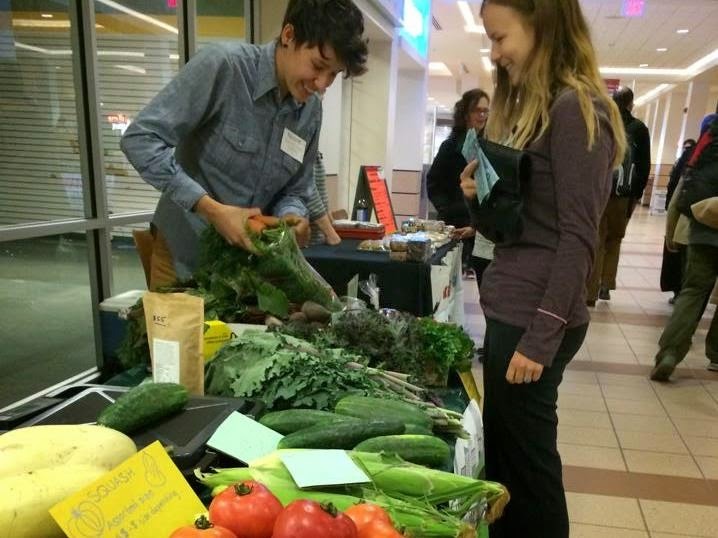 Selling produce at the Students' Union Farmers Market in September 2014 - in other word, getting money for services rendered in our local community! That exchange of $5 bills is keeping jobs alive and contributing to the local economy. So eat a pickle. Hell, make a pickle. Try some kimchi from the Farmers' Market, try to make jam from berries you pick next fall, or learn about the benefits of raw milk. As Rebecca Roberts from Sustainable Food Trust implores: step outside your comfort zone and revolt against the processed, industrial food status quo by encouraging and supporting localized food traditions and practices in your neighbourhood. 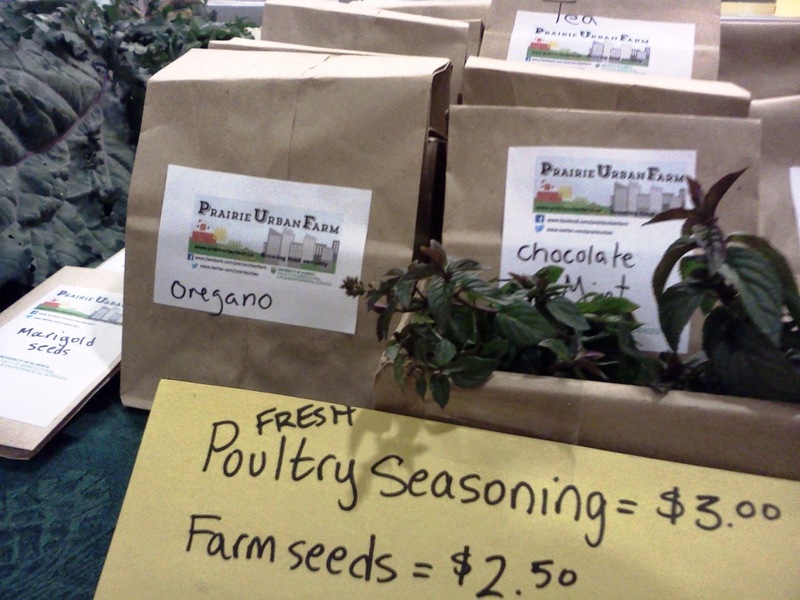 Fresh and dried herbs and seasonings being sold at the market. Prairie Urban Farm has invited Johwanna from Edmonton-based Mojo Jojo Pickles & Preserves to come out and demonstrate how to preserve our fruits and vegetables through canning, fermenting, and drying. We'll be holding this demonstration on Wednesday, February 11th, 2015 from 7 - 8:30 PM in Edmonton Clinic Health Academy (ECHA) 1-490 at the University of Alberta. This event is open to anyone and admission is by donation. There will be a draw that you can enter to win the products that Johwanna will preserve right in front of us. 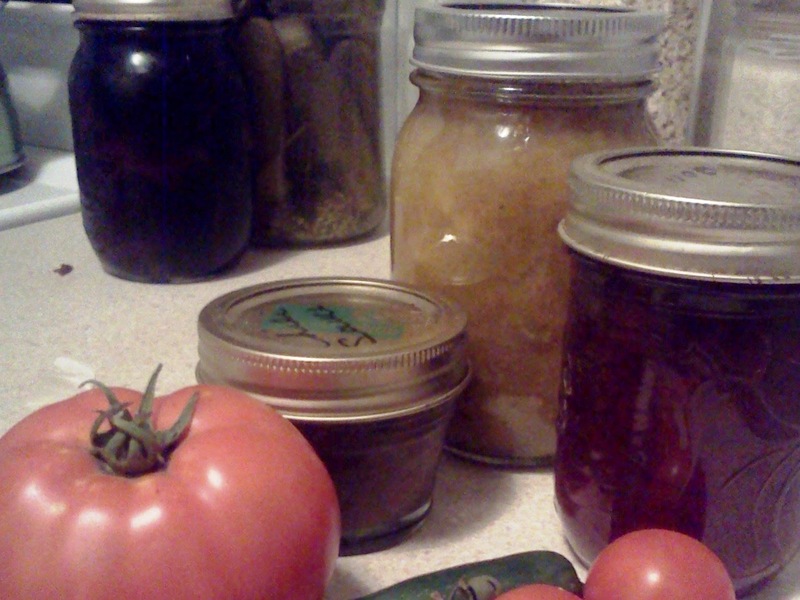 Get your foot in that door to the world of pickles and preserves. Hope to see you there! Love the title! That is exactly what it feels like, a revolt! When did growing and preserving our own food become so alien. Great post and pics. Thank you. That is the best way you can create awareness about letting people know how to preserve food and understanding the importance of having an adequate knowledge about food.